The story of the author’s early childhood in Czechoslovakia, through to his escape after the German invasion. He describes his story as not one of heroics, but to show what happened to someone who passionately believed in freedom and independence for his country. Jan Shuster’s story starts with his early life in his home town of Stankov, west of Pilsen. He describes life with his mother – in one-room in a building owned by the German brewery where she worked – as a hard but happy time. In 1928 when Jan was 7 years old they moved to Hosusovo in Eastern Slovakia where his mother married a border policeman. Even to Jan the conditions here seemed primitive and he illustrates the houses made of mud bricks and clay floors, occasionally covered with cow dung. At 14 Jan was successful in his application to become apprenticed to the world-famous Bata Shoe Company in Zlin. This was a strict, formal and disciplined education where he trained as a chemist and in 1937 become one of 60 specially selected apprentices in the newly formed group, Tomasov, where he continued with an even more intensive education. The group wore special, distinguishable clothes which consisted of a tail, coat, top hat, white gloves and a tie, based on the famous Eton style! Jan was too young for military service at the time of mobilisation, but on his 19th birthday at Easter 1940 he determined to leave the country and join the Czechoslovak Army. With 2 friends he travelled by train to a village near the Czech-Slovak border and crossed on foot in a snow blizzard. From there they took another train to the border with Hungary, and again crossed on foot in appalling weather conditions, then a further train almost to the Yugoslavian border. Here they were arrested and sent to jail in Budapest, then returned to Slovakia. Fearful of being placed in the hands of the German Gestapo they immediately re-crossed the border into Hungary, were again arrested and jailed in Budapest before being returned to Slovakia. In the end it took Jan 2 months to finally reach the French Consulate in Budapest, and he describes in detail the various jails in which he was incarcerated along the way, and the appalling conditions. To join the Czechoslovak Army in France Jan and his companions travelled through Yugoslavia, Greece, Turkey, and Syria. In Beirut he was to join a boat but France fell and they had no choice but to join the French Foreign Legion. 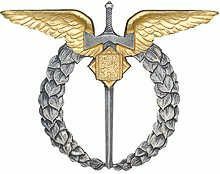 However, some pro De Gaulle officers provided them with transport and they drove across Syria and Lebanon into Palestine where eventually they were formed into a Czechoslovak unit of the British Army. 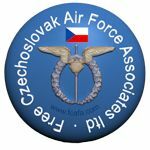 Jan details the various action they saw in the desert campaign until he transferred to the Royal Air Force who were seeking replacements from the Middle East for the Czechoslovak Squadrons in Britain. After a 3-month journey by ship, gunnery and wireless operator training in Britain, and operational training in the Bahamas, Jan joined 311 Squadron at Tain as a Wireless Operator in September 1944. He describes some of his 29 operational flights, always with the same crew he had teamed up with in the Bahamas, including a number of the more hair-raising moments. At the end of the war, Jan returned to Czechoslovakia with his English wife. Here he learned that, due to his escape, his parents had been incarcerated in a concentration camp for the duration of the war. He re-joined Bata, but after 2 years began to get very unhappy about the political situation in Czechoslovakia, seeing there was no future in the country unless a member of the communist party. He sent his wife and child to England to visit her family; his wife then sent a pre-arranged telegram to say that his daughter had been taken ill and requesting his immediate help. Jan managed to obtain a 3-day passport and left for England, obviously not returning when the passport expired! Jan began a business importing commodities, eventually travelling extensively through West and East Europe, Japan, Australia, South Africa and South America. The book contains many anecdotes about his experiences; one particularly enjoyed being the tale of a flight by Romanian Airlines where 4 passengers were standing in the aisle at take-off! 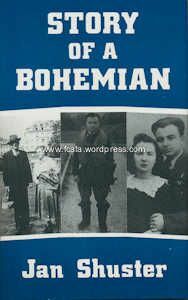 This book is particularly interesting for the fascinating insight into life in Czechoslovakia before World War 2, the descriptions of his flight and repeated incarcerations, and the time spent with the Czechoslovak Army before joining 311 squadron. The book ably demonstrates the tenacity of Jan Shuster to achieve his aim of serving his country until forced to leave his homeland for the second time due to his fears of the rising communist threat. Publisher: United Writers Publications Ltd.